Does The Size Of Your Mascara Wand Actually Matter? There are a lot of mixed messages out there about how big your mascara wand is supposed to be. Should it be wide and fibrous or thin and rubber? We've often found ourselves completely at a loss when trying to determine which will actually generate the volume promised. "Everyone is making mascara wands bigger and bigger, and I think it's hilarious," makeup artist Clarissa Luna says. But, in some cases, she says, bigger really is better. "Those big brushy-looking wands absolutely volumize better. The more fibrous bristles a wand has, the more mascara it picks up, so the more product it puts on your lashes." That sounds great to us. But, there's a downside. "If the brush is too big, you'll get mascara on your skin." So, that's why we end up looking like raccoons every morning. Good to know. As for the effectiveness of those teeny-tiny rubber wands, Luna says that those are better for a cleaner, more detail-oriented lash look. "You can still build volume, but it'll be easier to separate your lashes and really get in the corners, close to your tear ducts." As long as you don't mind adding a couple of extra coats, this might be a good alternative for someone who wants the volume of a big wand without the mess. So, there you have it. Bigger means more volume, within reason, but a similar effect can be achieved with something on the thin side. At the end of the day, it's all about preference. "You mostly just have to look for something that works with your eye shape," Luna says. "Make sure it's not bigger than your actual eye." Noted. 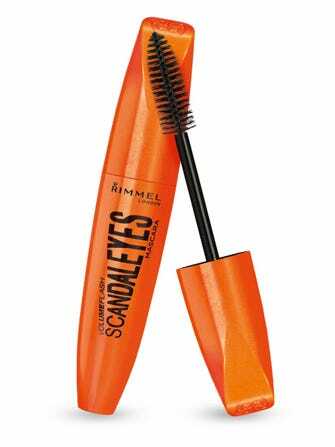 Rimmel London Scandaleyes Mascara, $6.99, available at Ulta.